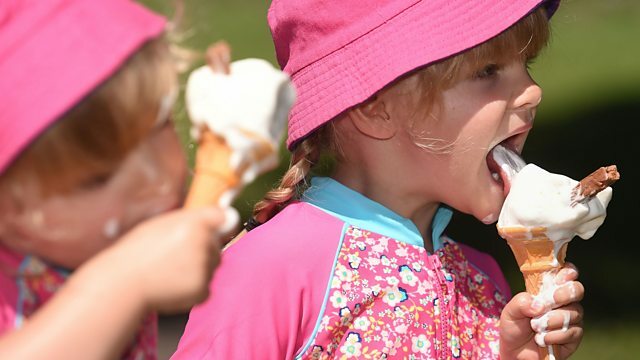 Scientists at the University of Edinburgh have discovered a protein which could make ice cream drips a thing of the past. Biological physicist professor Cait MacPhee said the naturally occurring protein stabilises oil and water for longer, allowing it to reach a higher temperature before melting. She said the discovery could also mean ice cream becoming less fattening. "We can't taste sweet things when they're very very cold," she said, so if ice cream can be eaten at a higher temperature, manufacturers will be able to add less sugar. This clip is originally from 5 live Breakfast on Monday 31 August 2015.